In my previous IBPA columns, I shared concrete ways to use my two favorite promotional venues—radio and Facebook—to educate your potential readers and sell books. I also discussed ways to use the two promotional methods in tandem for added effect. Commenting on websites and blogs expands your audience beyond followers of your own website or blog, your Facebook friends and followers, and those who have heard your radio interviews. In other words, it exposes your book to a much wider audience. How Should I Decide Which Articles and Blog Posts to Comment On? 1. Be aware of hot topics in the news you are qualified to comment on. Watch the news carefully for hot topics within your, and your book’s, area of expertise. For instance, my book, HONEST MEDICINE, is about treatments that are not financially beneficial to pharmaceutical companies. I am critical of the medical establishment, pharmaceutical industry, and the FDA’s approval process, so I often comment on articles and blog posts that are similarly critical. And because my book features treatments for several conditions for which pharmaceutical treatments offer little hope, I watch for topics in the news that deal with these treatments, as well as the conditions they treat. I have left comments on articles in The New York Times, Huffington Post, The Washington Post, and many other high-traffic venues, not to mention on hundreds of blogs. 2. Sign up for Google Alerts. There are also opportunities for leaving comments on websites and blogs following postings that are not as “hot” or topical, yet are being discussed online and are germane to your book. To find these opportunities, sign up at google.com/alerts, using keywords denoting topics relevant to you and your book. These alerts will provide you with daily e-mails that include links to postings and articles on the topics you specify. For example, I have signed up to get Google Alerts for “Low Dose Naltrexone,” “the Ketogenic Diet,” “childhood epilepsy,” “multiple sclerosis,” “Silverlon,” “Crohn’s Disease,” “autoimmune disease,” “fibromyalgia,” and “rheumatoid arthritis,” to name a few. Begin your comment with an emotional connection to the topic being discussed. You may want to start by thanking the writer or poster. Be sure to show that you understand the problem, concern, or issue being expressed. Making this personal connection is central to showcasing your expertise and humanity, drawing you closer to your readers. Mention your book’s title as a resource only in passing. If you mention your book too prominently, your comment may be seen as an ad and will probably be rejected. Whenever possible, share at least one other resource that is not your book. This adds to the conversation and emphasizes your value as an expert. End with a personal note, staying in the spirit of helpfulness and hope. In your signature, give your name and your book’s title. I found this article about Debbie Isaak-Shapiro and her son Josh’s struggles with Crohn’s disease to be extremely moving. Her determination to help her son and others afflicted with this debilitating condition is inspiring. Crohn’s is a terrible condition, and as Isaak-Shapiro points out, the treatments for it often stop working after a few years. In addition, as she also points out, they are extremely expensive and many insurance companies don’t want to pay for them. There is a treatment that many gastroenterologists don’t know about that has been found to be effective for many Crohn’s patients. It is called Low Dose Naltrexone (LDN), and has been shown to have promising results in three small clinical trials conducted at Penn State in the US by Jill Smith, MD and Ian Zagon, Ph.D. 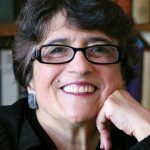 In that column, Maureen Newman cited one of the Smith/Zagon Penn State studies, “Low-Dose Naltrexone Therapy Improves Active Crohn’s Disease,” published in April 2007 in the American Journal of Gastroenterology. Of note: Most of the comments that followed Ms. Newman’s column were from patients who had experienced extremely positive results using LDN. 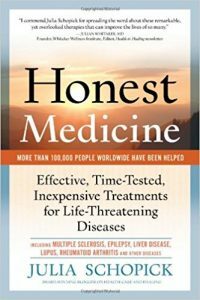 I am the author of the book, HONEST MEDICINE: Effective, Time-Tested, Inexpensive Treatments for Life-Threatening Diseases, which features four treatments many doctors don’t know about. LDN is one of the treatments I write about in my book. For my research for this book, as well as for my upcoming book, which will focus entirely on LDN, I have interviewed many patients who have used LDN for Crohn’s, as well as for dozens of other autoimmune diseases. One of the chapters in my upcoming book was contributed by Lad Jelen, a participant in one of the three Smith/Zagon LDN trials. His response to LDN was spectacular. Unfortunately, he didn’t find LDN until he had gone through 50 years of unsuccessful treatments with the conventional drugs doctors routinely prescribe for Crohn’s. Thanks so much for giving me the opportunity to tell your readers about this promising treatment for autoimmune diseases, including Crohn’s. I lead by referring to the article itself. As I explained earlier, I posted a variation of this comment on several websites and blogs during May about Crohn’s disease. In each case, I personalized my opening paragraph(s). I mentioned my book, in passing, so as not to be perceived as an ad. I ended on a personal note. I signed my comment with my name and the title of my book. 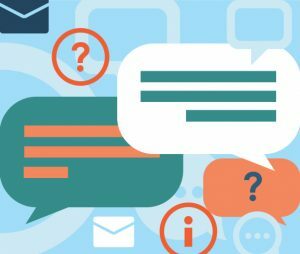 And, finally, while this comment is long, it is jam-packed with information that will be helpful to a person with Crohn’s who is looking for a treatment their doctor may not know about. I hope that this column has made you aware of this underutilized but extremely valuable promotional technique for telling the world about your book. Julia Schopick is the best-selling author of HONEST MEDICINE: Effective, Time-Tested, Inexpensive Treatments for Life-Threatening Diseases. A seasoned radio talk show guest who has appeared on hundreds of shows, Julia is often invited back for follow-up interviews. In addition, she successfully uses social media to promote her book. Julia coaches other authors on how to use these promotional techniques effectively. To learn about her coaching service, Honest Medicine Communications, go to HonestMedicineCommunications.com. Write to her with questions at Julia@HonestMedicine.com.